In order to achieve the highest and constant product quality, it is necessary to increase the standards of your process equipment. However, when it comes to the custom development and manufacturing of machines and installations, comprehensive special know-how and long-standing experience are not always sufficient. In order to realize technologies that are optimally tailored to your processes and reliable over the long term, the constant exchange of information, level-headed project management, short decision-making paths, and the utmost precision are of crucial importance. SEGLER caters to the entire process chain, from the development and manufacturing to commissioning and after-sales service. The advantage of this is that interfaces are eliminated and coordination is simplified. Hence, project workflows are shortened, while simultaneously realizing the highest quality standards. You will receive all products and services from a single source, with quality that can only be "Made in Germany". Working closely with you, our team develops and designs solutions that are optimal for your application — taking into account every single detail. After you have given your approval for the manufacturing drawings, our consistently supervised manufacturing process begins. Furthermore, additional quality inspection measures will also be included as needed, such as pressure tests, dye penetrant inspections etc. Naturally, you can also come by to view the progress and quality on site at our facilities during the various manufacturing phases. You are also welcome to conduct interim and final acceptance inspections. Comprehensive technical documentation attests to the quality of our products and services.Depending on the project, this documentation comprises operating manuals, TÜV certificates, declarations of conformity, inspection reports, material quality certificates and much more.Furthermore, in order to ensure that your system arrives as planned, we also collaborate with reliable logistics partners. 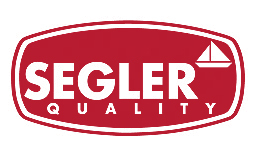 In order to continue improving our already high level of quality, SEGLER also focuses on training, continuing education, and targeted support for employees.